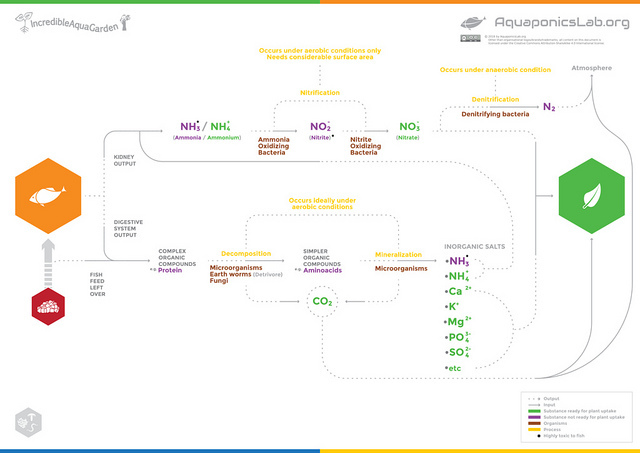 The third infographic of the educational series provides a flowchart of Nitrification and Mineralisation in aquaponics to explain how fish waste is converted into plant nutrients. Waste from the kidneys is mainly ammonia which is released through their gills and the urinary pore. Waste from the digestive system is composed by a range of organic compounds. Ammonia present in the system will be process by naturally occurring bacteria initially into nitrite and afterwards into nitrate that can be easily absorbed by plants and has low toxicity to fish, this process is called nitrification. It is useful to note that plants can also uptake ammonium which can be present in the solution depending on system’s pH. Complex organic compounds will undergo an initial decomposition into simpler organic compounds by fungi, earthworms and microorganisms. Subsequently they will be subject to further breakdown into simpler compounds by microorganisms in a process called mineralisation. 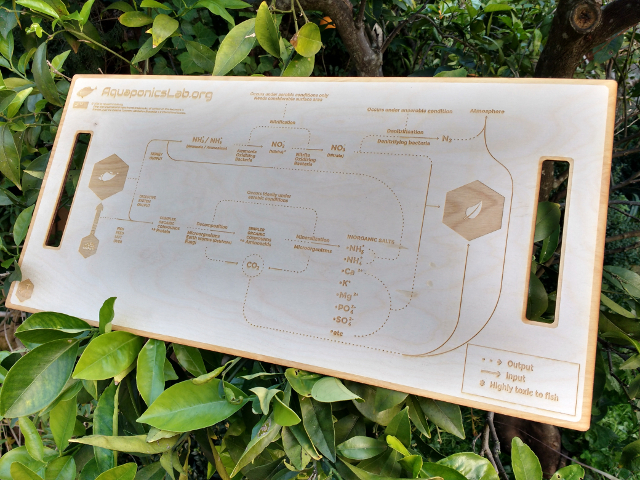 This last step take then to an ionic form that can be readily uptaken by plants. The process of mineralisation is less discussed than the nitrification but equally important as it unlocks a multitude of nutrients that are essential to healthy plant growth. 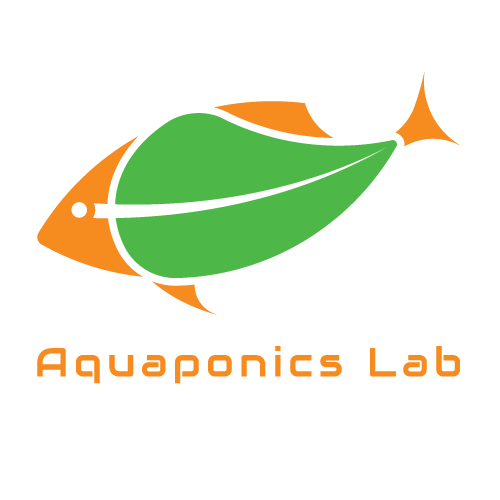 For example a large proportion of the phosphorus in aquaponics is not initially available for the plants due to being lock in the fish waste in an organic form. It is good to observe that the breakdown of organic compounds also release ammonia that will need to be converted into nitrate, therefore, if large amount of organic matter is decomposing in the system (e.g. fish waste, fish feed, dead algae/fish) it can impact the water quality (eg. Not enough nitrification in place may lead to harmful condition to aquatic animals).